Groups > Persecuted Christians > Discussions > Topic: JEWISH CHRISTIAN BELIEVERS WHO ARE PERSECUTED! Topic: JEWISH CHRISTIAN BELIEVERS WHO ARE PERSECUTED! The unsaved person wears a yoke of sin. liberating yoke of MESSIAH JESUS. Members of tiny community who believe Jesus was the Messiah complain of threats, harassment and police indifference. 'It is their right according to freedom of religion to maintain their religious lifestyle,' rights group says. But his religion also holds that one can embrace Jesus  Ami calls him by his Hebrew name, Yeshua  as the Messiah and remain Jewish. Orthodox Jews, on the other hand, believe that the Messiah has yet to come, that he will do so only when he chooses, and that any attempt to pre-empt his coming is a grievous sin. Many Messianic Jews say they recognize the sensitivities involved and do not distribute religious material or conduct high-profile campaigns. But Aharon noted a recent "Jews for Jesus" campaign with signs on buses that equated two similar Hebrew words  "Jesus" and "salvation." Public outrage quickly forced the bus company to remove the signs. Brother Andrew is a Christian pastor who has Jewish heritage and found Jesus while in Russia. He was persecuted for his faith and thrown in prison for several years, I believe 15 years, if I am correct. He has been beaten and tortured. When he was released, underground Christians helped him and his family escape Russia so that he could tell the world about the persecution of Christians in Russia at that time, when communism had a stronghold. I admire Communists. The words seemed strange from a pastor who spent fourteen years in Communist prisons, but Richard Wurmbrand was sincere when he said them. Pastor Wurmbrands words were not some high-minded ideal that he didnt exemplify. He and his wife Sabina welcomed into their home a Nazi officer who worked at the very concentration camp where all of Sabinas family had been exterminated. When the officer saw their forgiveness and love for him, he was won into the kingdom. Jesus taught us that others would recognize our faith by our loveespecially when it comes to dealing with the opposition. How we treat our enemies is equally important as how we treat those in our own Christian family. In fact, our response to criticism often makes a greater statement for Christianity than any other example. When believers put this powerful principle of the Christian faith into practice, they distinguish themselves from the rest of the world. The natural response to opposition is to refute it or return the favor. Instead, believers strive to understand their enemies, not undermine them. Opposition, when put into this perspective, is welcomed as an opportunity to exercise faith and imitate Christs commands. 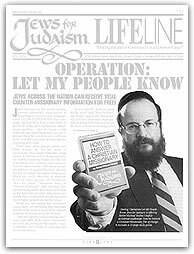 At present, there is no Bible that can be used in evangelistic outreach to unsaved Jewish people that exposes the truth of the Messianic prophecies in a way that Jewish people understand and relate to. Searching for the promised Messiah in any current Bible can be confusing for a Jewish person due to unfamiliar Christian terminology and the lack of explanation of the Messianic prophecies. 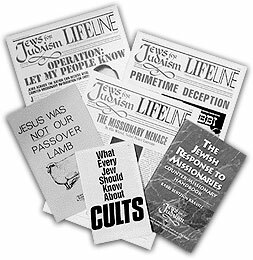 When a Jewish person goes to a family member or their rabbi for answers about the Messianic prophecies, they are told how Yeshua is NOT the promised Messiah, so they give up their search. discredit the Messianic prophecies and Jewish faith in Yeshua. They publish anti-missionary materials with such inflammatory headlines as... Dealing With Missionary Tactics, Jesus Was Not Our Passover Lamb, The Missionary Menace, The Real Messiah, The Battle For The Jewish Soul, and Why Jews Can't Be For Jesus. It is clear that an accurately researched Messianic Prophecy Bible is needed to reach unsaved Jewish people. his audio tape, How to Answer a Christian Missionary. Our head Israeli Evangelist Zeev Aharon Porat was walking near the Tel Aviv beach 6 months ago, and as always he asked the Lord who he should share the Gospel with. Only one of them was interested in talking, his name was Yossi (Joseph). We started to talk and he said he doesnt even believe in God. I asked Yossi, if he would be willing to take a Hebrew Tanakh and read it, and call me if he had any questions. I always underline about 10 of the Messianic Prophechies will a yellow pen, and I pointed out to Yossi where they were. In the Bible that I gave to him, I wrote my phone number and I asked him for his phone number but he would not give it to me. I told him, God loves you Yossi, and God wants you to have eternal life, and forgiveness of your sins. And if you will read the Tanakh (Old Testament) and ask God to reveal Himself to you then He will, but you have to seek Him. And he said, ya, ok, I dont think Im going to call you, but I will read the Bible and what you underlined. During the past 6 months I prayed for Yossis salvation, and even at our Shabbat services in our Messianic congregation in Tel Aviv, I would stand up and ask the congregation to pray for him. I didnt have Yossis phone number as he wouldnt give it out, but he had mine, and even though he said he would not call me, somehow I knew that the Lord was calling Yossi to Him. and I told him that Id like to meet him to discuss it in person. He then replied, how are you going to show me that its Jewish, so I told him before we meet I want him to make sure that the Bible I gave him is a Jewish Bible. So I told him to go to a synagogue in his city of Hadera. He then called me again and we met two days ago (on election day here in Israel) and I asked him a simple question. Why did you ask me if it is a Christian prophecy when you know that it is a Jewish Bible, and how many Jewish people look at that prophecy and never say that it is a Christian prophecy? 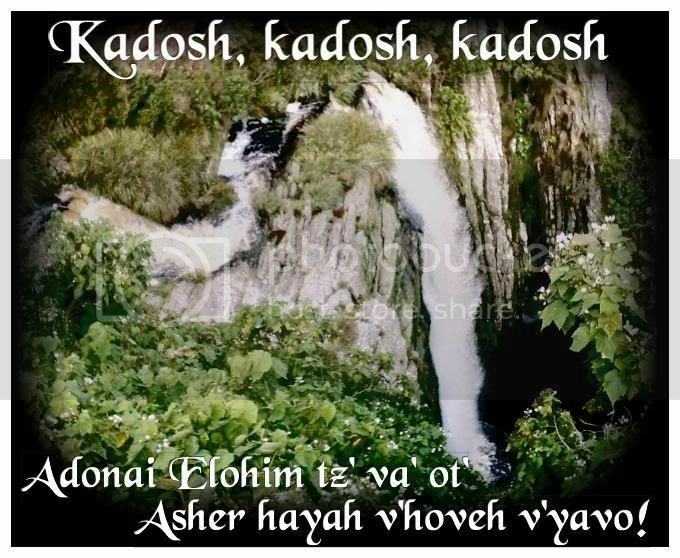 Dont you think Yossi that the Ruach HaKodesh (Holy Spirit) is starting to work in you? We then spent the next 6 hours together, which included me sharing my testimony of how my father was a rabbi, and how I grew up religious, and how I came to know the truth of who God really is through His Son Yeshua. Remember how when I first met Yossi he didnt believe in God? I asked him to look at the sunset and to acknowledge that there is no creator  Yossi looked at the sunset and said: Someone had to create it  and Yossi concluded that there must be a God. We then discussed the Messianic prophecies that he already read from the Bible that I left with him, and he said: Even if I know the truth, what would I do with my family, my friends, and my life? I said, that you are going to have to pray to God and He will reveal it to you, and I can only assure that the Lord will never forsake. Please pray for Yossi that he would let go of fear of rejection from friends, family, and basically everyone in Israel. Zev Isaacs, the son of a Holocaust survivor, raised in Montreal's Jewish community, began his search for God while completing his degree in International Relations at York University in 1987. During his search, he was challenged by his mother's new faith in Jesus (Yeshua), and by his Jewish friend's conversion to Orthodox Judaism. Confused, Isaacs began to meet and discuss the objections to the Messianic prophecies with Jews for Judaism and Aish HaTorah. On Saturday mornings he would meet with a Messianic Rabbi to learn about Yeshua and the validity of the Messianic interpretation. After more than one year of studying the Messianic prophecies and struggling through the objections, he finally realized that Yeshua was the promised Jewish Messiah. Isaacs was determined to one day publish a Bible that would expose the truth of the Messianic prophecies. Isaacs founded The Messianic Times newspaper in 1989 and resigned in 2002 to devote himself fully to the work of the Bible Project and the Messianic Evangelistic Association. Pnina Conforti, owner of Pnina Pies Bakery, praised God when the Israeli Supreme Court ruled in June that her belief in Jesus Christ was unrelated to her eligibility for a kashrut (Jewish dietary law) certificate- something needed in order for her business to survive.